Bethesda’s E3 media showcase wrapped up after about only 40 minutes, making it significantly shorter than most other major publishers’ keynotes. The presentation kicked off with the surprising announcement that virtual reality versions of Doom (2016) and Fallout 4 are coming later this year. Bethesda also detailed new downloadable content (DLC) coming to last year’s hit 2016 stealth game Dishonored 2, as well as an expansion for The Elder Scrolls Online based on Skyrim. Speaking of the massively popular open-world RPG, Bethesda also confirmed that the Nintendo Switch version of the game – previously revealed in the official debut trailer for the system in October 2016 – will release this fall and is set to feature exclusive Zelda-themed content. The final two announcements of the conference were titles that have long been expected: The Evil Within 2 and Wolfenstein II: Colossus. The former title is a sequel to the 2014 hit survival horror game from Shinji Mikami, the co-creator of the Resident Evil franchise. Based on the trailer Bethesda showed off, The Evil Within 2 retains the third-person action combat, only this time taking place in more open areas, such as small towns, as opposed to the more cramped corridors of the first game’s mental hospital. Fittingly enough, Bethesda also confirmed that the horror game will release on October 13th. Wrapping up the conference was Wolfenstein II: Colossus, a sequel to the 2014 first-person alternate history shooter. 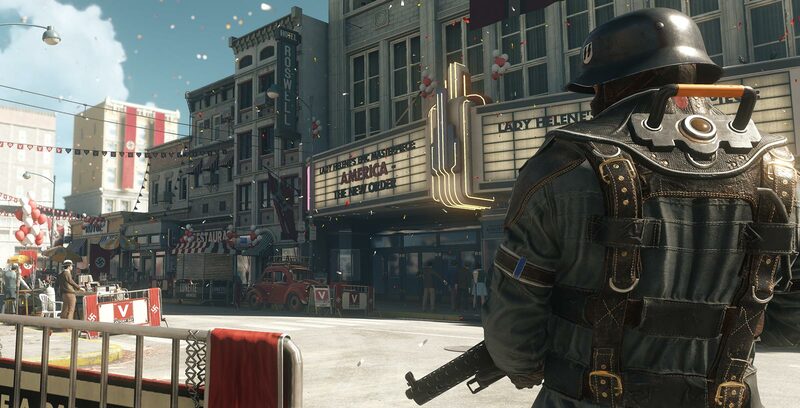 The game once again features series longtime protagonist BJ Blazcowicz as he attempts to lead a revolution again the Nazi regime, who have won WWII and occupied the U.S. The game is confirmed for release on October 27th. In an industry where publishers often avoid announcing specific release dates and/or delays games multiple times altogether, it’s notable that Bethesda is officially revealing games with release dates set for mere months later, a trend the publisher started with Fallout 4 back in 2015. That game had an official E3 unveiling in June and subsequently released in November. There are still E3 presentations left from three major publishers between Monday and Tuesday – Ubisoft, PlayStation and Nintendo. Information on how to watch all three can be found here, and for more from E3, including hands-on coverage and interviews, stay tuned to MobileSyrup.